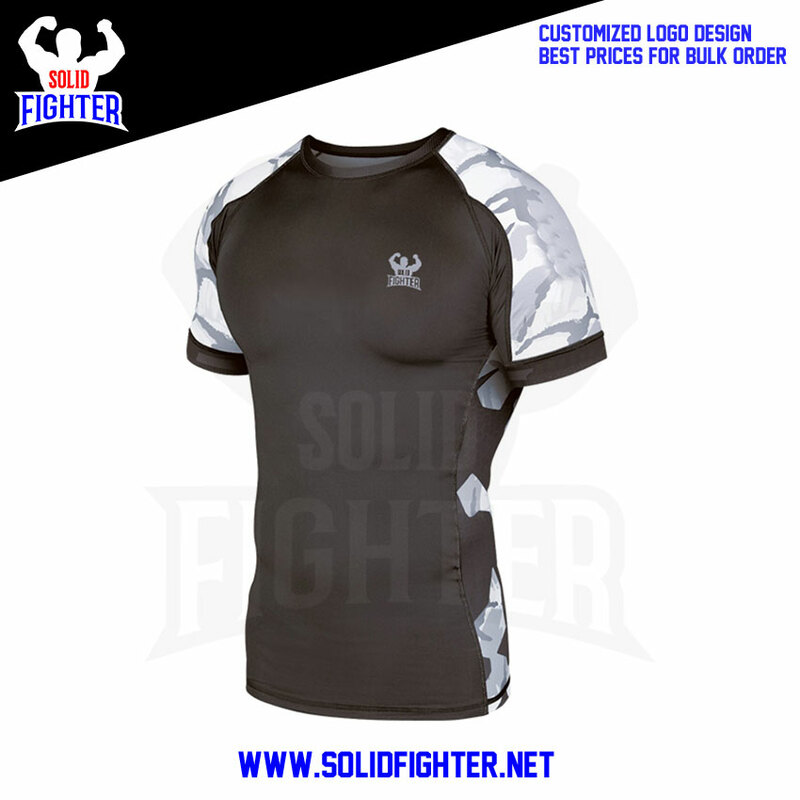 Solid Fighter manufacturer Regular fit rash guard made of 91% Nylon / 9% Spandex. Fast drying raglan short sleeve and slight mock-neck with flatlock seams. 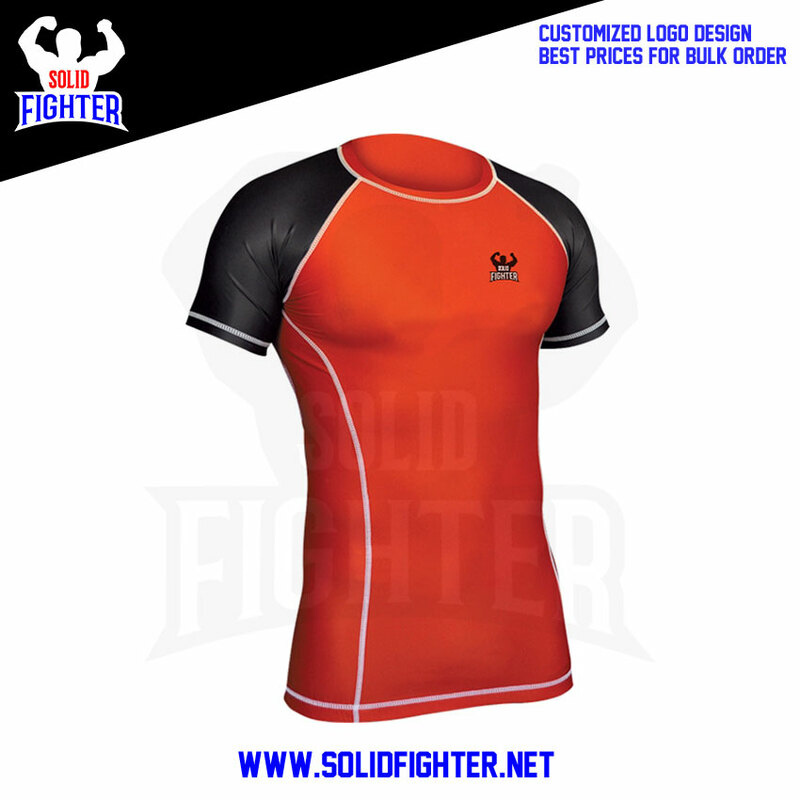 Customized logo screen printing or sublimation printing. Available in all colors.